This week we build the multivibrator on Vero board. The Unit UEENEEH102A calls for you to use many different board soldering techniques and this is among the most common practice board for transferring circuit schematic diagram to a working prototype. Make sure to see the video about how this circuit works with the oscilloscope also. It’s in a submenu tab against this week. How nice is this! 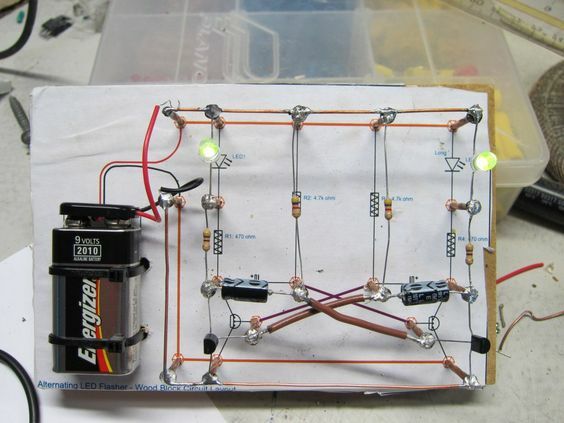 Nails and wires and components match our circuit. Why are both LEDs illuminated at once? Ideas?